The festive season is without doubt my favourite time of the year! And now that we're all settled in our new house, one of the things that I've been looking forward to most is playing hostess. There's nothing I love more than an excuse to get friends and family together over a few drinks and nibbles! And what better way to kick off the festivities than with a few cocktails? 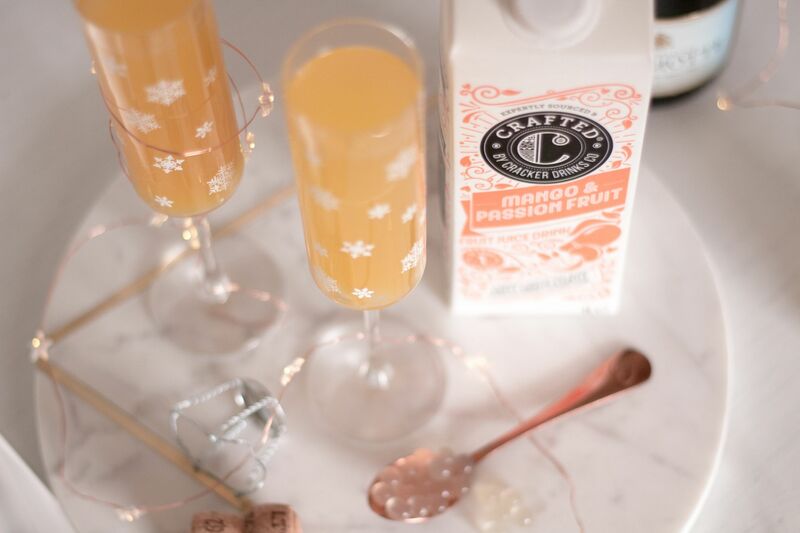 This year, I've been working in collaboration with Crafted Drinks to create some fruity delights with their delicious fruit juice drinks. With no added sugar or sweeteners, and with a mouthwatering array of flavours, they make the perfect mixer! They're also really easy to find – just check the long life juice aisle of your local Sainsbury’s, Waitrose or ASDA. Plus they're great enjoyed on their own if you have any under 18s to entertain or you're designated driver for the evening! Give your guests a refreshing gin cooler with a Crafted Drinks Apple, Mint & Lime fruit juice served with a dash of gin. I'm a big fan of slightly sour, fresh tasting drinks, so this one was definitely my favourite and is super easy to mix (plus it's very Instagram friendly!) Add two parts Crafted Drinks Apple, Mint & Lime to one part gin and shake in a cocktail shaker. 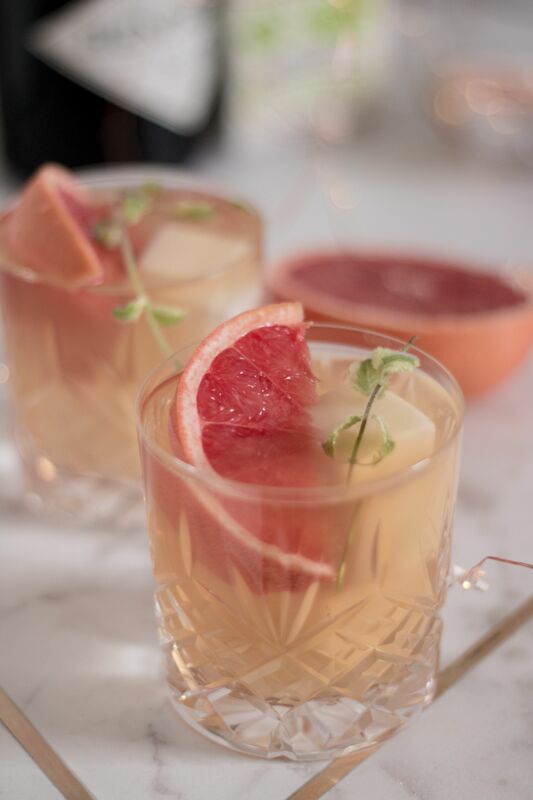 Serve in a short glass and garnish with a little wedge of pink grapefruit to give a sour kick and a little sprig of white mint. The white mint is perfect for this as it has a slightly softer aroma and the delicate sprigs are a little more pretty than usual mint! Add a tropical twist to your evening with Crafted Drinks Pineapple, Coconut & Lime juice served with a dash of rum. Add two parts juice to one part rum and shake in a cocktail shaker. Serve in an ice cold glass with a little slice of lime. 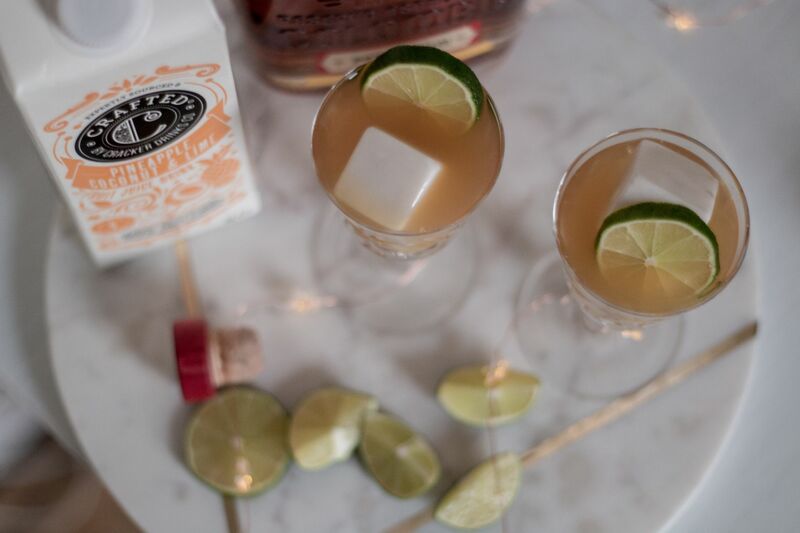 If you're feeling extra fancy, you could even try garnishing the rim of the glass with a little lime and coconut sugar. Perfect for a fruity fix to start your evening! And really, is there any better combination than pineapple, coconut and rum? Although I'd still serve this now, I think this one will actually be even better in summer, served outside in the garden with a big chunk of fresh pineapple. Offer guests a fruity twist on the traditional mimosa with a splash Crafted Drinks Mango & Passionfruit juice served with prosecco or champagne. Add two parts champagne or prosecco to one part Crafted Drinks Mango & Passionfruit juice to your chosen flute. 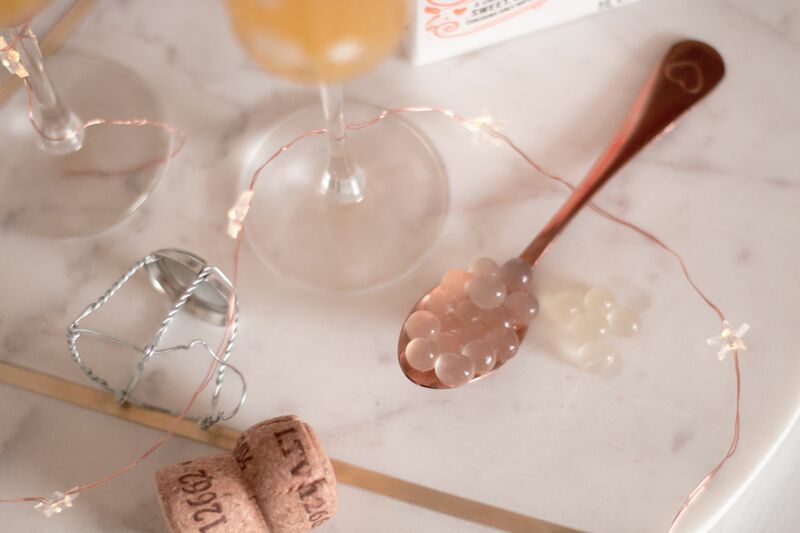 Keep things simple with a fun garnish of lychee Popaballs to give your guests an exciting burst of flavour to their tropical mimosa. Perfect for a posh brunch or as a pre-dinner aperitif. And extra quick to prepare! I always think of mimosas as a pretty failsafe cocktail if you're pushed for time or serving fussy guests. I mean, there's not usually many people who are adverse to a little fizz and fruit juice, are there? 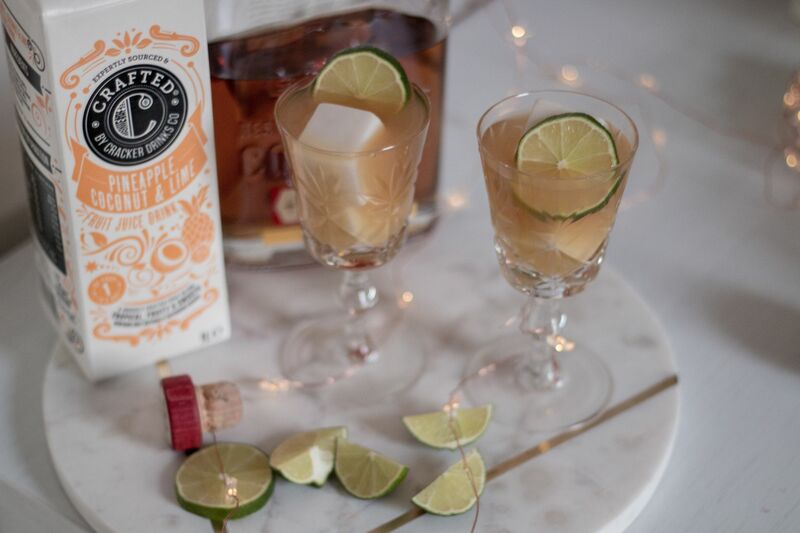 This post has been written in collaboration with Crafted Drinks. They all sound delicious! Perfect for the festive season!